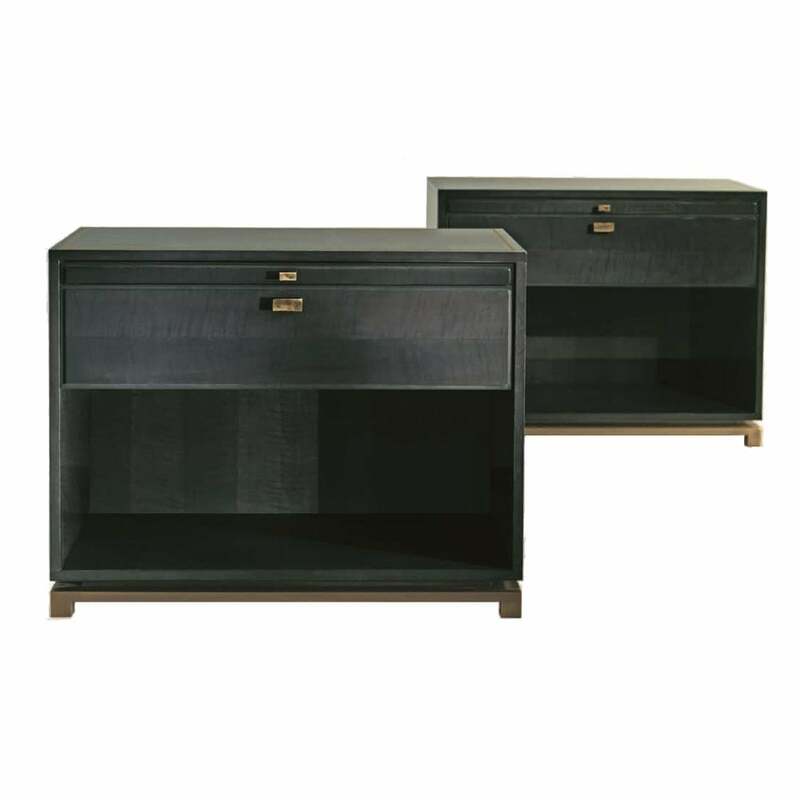 The Bronze Bedside Table XI is crafted out of sycamore wood stained in dark grey with a high gloss finish. This is Art Deco style brought up to date with bronze inlay on the top and sides. The bedside table also features a pull out shelf with soft closing system. Create a luxurious bedroom setting with the Bronze Bedside table from the Bronze Collection by Orsi. Tone down this glamorous piece with soft greys and blues, or go dark and dramatic with jewel colours such as amethyst and jade green. Style with dark greenery in an ornamental vase and a statement lamp featuring tassels from master lighting designers Heathfield & Co. The bedside table will provide enough storage for your favourite design books and magazines to provide relaxed reading in the evenings. Available in a range of finishes including natural black American walnut, oak and figured sycamore.